Welcome to Club Senior! 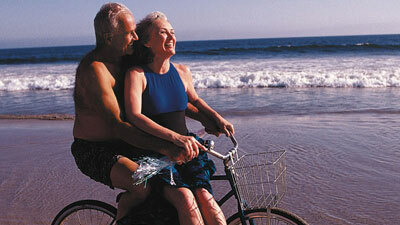 Within Peterman Moral Travel, we have specialized us in seniors, Club Senior. At this moment we have our permanent accommodations in Tenerife, Barcelona and Costa Brava. Spain obviously has a wonderfully mild climate and is not too far away from the Netherlands. With an average of 7 hours of sun a day is ideal for people who even in winter the sun to enjoy. For the disabled traveler, we looked on the sunny island of Tenerife accommodation with wheelchair friendly with custom (bath) room and resource availability. It is also good to know that our accommodations are located in Los Cristianos and Playa de las Americas, which is very accessible to wheelchair users. If you are interested in other areas of Spain please contact us feel free to apply so you do not have to search for your holiday. We love to do that for you! These excellent apartments are situated in Playa de las Americas, opposite the beach of Las Vistas. All apartments are well furnished and contain a living room, a separate double bedroom, bathroom, kitchen with fridge, cooker, microwave, safe, terrace / balkon.Linnen and towels are included. Tenerife Royal Garden is a beach-front resort located between Los Cristianos and lively Playa de las Americas. The resort takes its name from the beautiful gardens around the large outdoor pool and sun loungers to enjoy to. The apartments are big and modern. Guests appreciate the fully equipped kitchen, bathroom, TV, laundry facilities and private balcony with zitruimte.aparte bedroom, large bathroom, safe, kitchen with refrigeration, stove, oven and microwave and a terrace or balkon.Handdoeken and towels are included. The beautiful recently renovated Vista Sur apartments are spacious and well equipped. The location is ideal, right on the beautiful Las Vistas beach and a stone's throw from a number of charming and popular shopping and the lively promenade. There is a bar and supermarket. Two à la carte restaurant overlooking the pool terrace and the beautiful tropical garden pool. These apartments are fully furnished, kitchen, bathroom, TV, laundry and terrace. Towels and linen are included. Great for longer periods.